Public Role of the Church: Justice or Love? If one wants to discuss the public role of love within Christian theology, one cannot escape the question of the relationship between love and justice. For rather than love, justice is generally conceived as the public virtue. Within the Christian tradition, however, the Gospel message focuses on love. 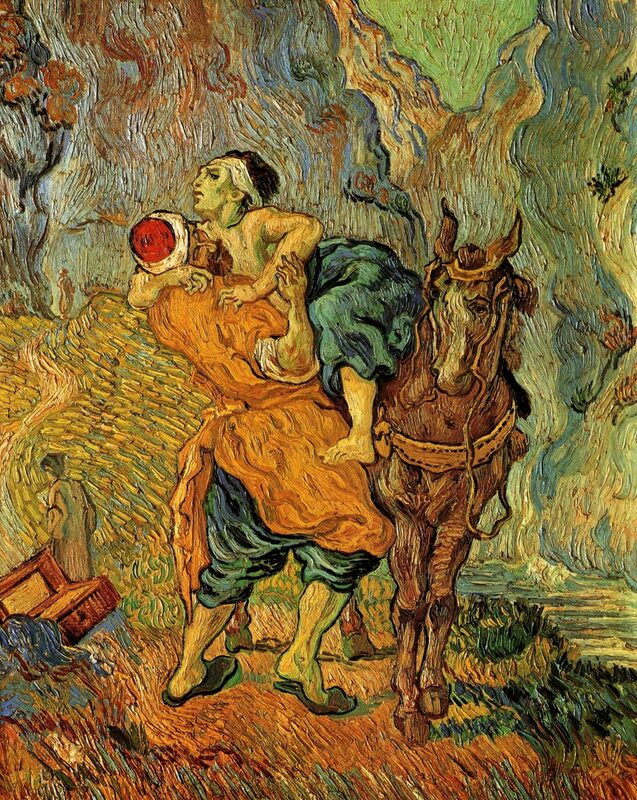 Hence, should not the public role of Christianity be identified with love as expressed in the 7 works of mercy and exemplary shown in the parable of the Good Samaritan? One cannot deny that this kind of charity belongs to the core business of our faith. But has not a one-sided focus on love as charity often resulted in so-called ‘agapism’, which is very good in treating the symptoms of social issues by fulfilling immediate needs, without having to deal with the structural causes grounding these problems? Besides the Bible, Catholics can also refer to their social teachings, which have emphasized the importance of justice from their official beginnings in the 19th century. That justice should be realized within society is unquestionable; whether it also belongs to the task of the Church to make this happen, however, is the object of debate. Inspired by Latin-American developments, the synod of bishops of 1971 was very clear: supporting the Jewish idea that liturgy without acts of justice is insufficient, the bishops firmly stated that “action on behalf of justice is a constitutive element of preaching the Gospel.” Quite some ink has flowed on the meaning of ‘constitutive’ here, but I would stand with those who see justice as an essential characteristic of Christian faith and thus as part of the mission of the Church. Moreover, the bishops laid the groundwork for a particular concept of justice that was later much elaborated upon by the US Bishops in the letter on the economy (1986), a letter with sustained relevance for today. The synod introduced the idea of justice as participation in Catholic social teaching. It is not enough to ensure one’s needs are met or respected, they argued. Rather, we should consider whether all have the opportunity to participate in society as political, social and cultural actors. Do people have access to the global economy? And if so, in what way? Do they belong to their political society? In fact, this notion of justice as participation is nothing else than updating Amos’ call: include into society the excluded. All this may seem very abstract, but during the expert seminar on Politics of Love, Leo Penta sketched for us how this might look in practice with a concrete example: the German movement of broad-based community organizing. His main challenging question was “how can diverse people in and through their civic groups and institutions act collectively in the public arena for the common good over the long term?” By building relationships, this community organizing aims to bind people who can then act politically in search of justice. From a theological-anthropological point of view, what is interesting here is Penta’s view on personhood. One the one hand, the project is realistic enough to realize that self-interest is at the basis of the involvement of concrete persons: it is because they are worried about something, or find themselves in a particular situation, that they are looking for relationships which can help them. Because they are on their own, they lack the necessary political power to resolve their problems. On the other hand, relationality is considered as ‘constitutive’ of the human person, which makes them also willing to undertake this collective action. In this context, “actively building relationships across boundaries” is considered as “an act of public love”. In contrast to many civil society actors, community organizing does not start from a single issue, but from the need to build relationships in order to gain collective empowerment. Penta summarized this in the notion of “enabling community”: it is the community as such that needs to be enabled; but at the same time, it is the community which enables. Its end goal is exactly the participation and inclusion of outsiders, such as ‘immigrants, disabled and disenfranchised persons’. For this reason, community organizing is an example of the Church actively participating in the struggle for justice while giving flesh to its mission of love. Maybe things should not be so black and white. We cannot ignore the amazing results and implications of this focus on short-term loving acts for society, as the majority of current public services in the field of health care and education arose from Christianity through its religious congregations and orders. And although they fulfill certain (immediate) needs, one can hardly hold that these are mere acts of charity, considering their structural consequences for those who benefit from them. On the other hand, there will always be ‘tears which the bureaucracy won’t see,’ such that love, as seeing the face of the other in its particularity through the structures, will always be necessary. Ellen Van Stichel is a post-doctoral researcher at the Faculty of Theology and Religious Studies (KU Leuven) and member of the Anthropos research group.